Every now and then I get around to doing what I had intended upon doing when I began this blog; that is, to compare books and the movies that are made from them. I don't seem to get around to it that often, but it is what I'm supposed to be doing here. In the opening years of the 1930's, Hollywood had a new toy to play with, "talkies. "At first the template was set with films such as "The Jazz Singer" and then a plethora of musicals came along. These were all very fine and showcased the advent of sound by creating lavish musical numbers and featuring singing. But literature was about to weigh in, and it would change what people expected from motion pictures forever. The 1930's saw the first real effort to bring great literature to the screen. 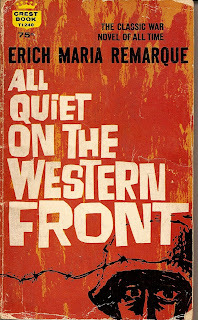 And one of the first books chosen was the contemporary best seller by Erich Maria Remarque, "All Quiet On the Western Front." 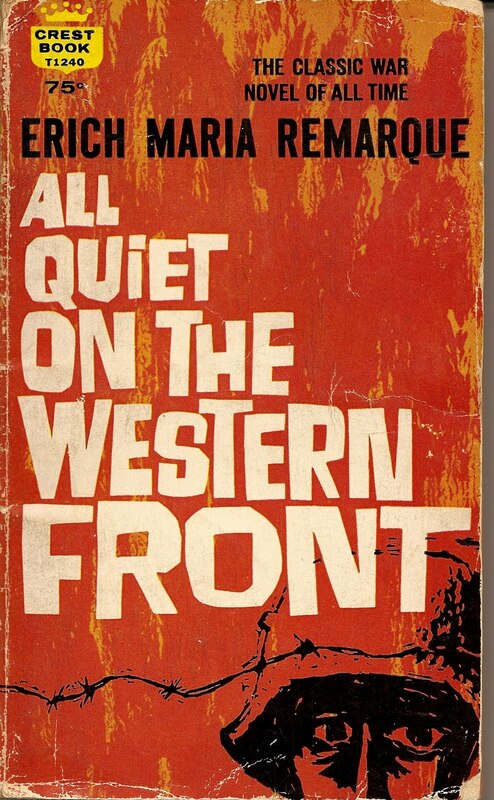 The book is one of the best anti war pieces of literature ever written. Bringing it to the screen was a challenge, in that sound was new and "talking" motion picture actors were still a rare commodity. So many of the silent screen idols couldn't speak a line, while many of the finer stage actors considered movies, particularly "talkies", to be a passing fad, geared only towards slapstick comedies, or overly emoted love stories and westerns. 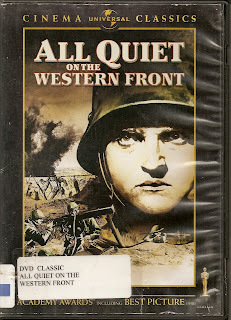 "All Quiet On the Western Front" has stood the test of time as a novel. It's characters are brilliantly painted, the story finely developed. It centers around a group of students and their war mongering teacher. The teacher gives them all the bravado they need to go out and fulfill their destinies on the field of battle. The town cheers as they march off to war. The local postmaster becomes dictatorial in his treatment of the recruits, and the boys get a taste of what war is really all about. And in the end, all of the deaths are revealed as having been worthless. One of the most poignant passages in the book speaks volumes about the war and the men who lived, or died in it. "We are forlorn like children, and experienced like old men, we are crude and sorrowful and superficial - I believe we are lost." The book is fluid and the prose flows like water. It states coherently the message that war is hell. It underscores the abuse of authority by those who have no right to it in the first place. In comparison, the movie is stilted and choppy. The direction is almost chaotic. But the one saving grace of this film is that it opened the door for filming more of the great classic literature. Within the the next few years classics such as "David Copperfield", "Oliver Twist", "Mutiny on the Bounty", "The Hunchback of Notre Dame", and so many others, would come to the screen; not as silent synopsis' of these great works, but as feature films with actors who actually spoke. Leslie Howard, Lionel Barrymore, and scores of others would leave the stage and bring some of the world's finest literature to the screen. The techniques would change, and the sound and direction would improve. 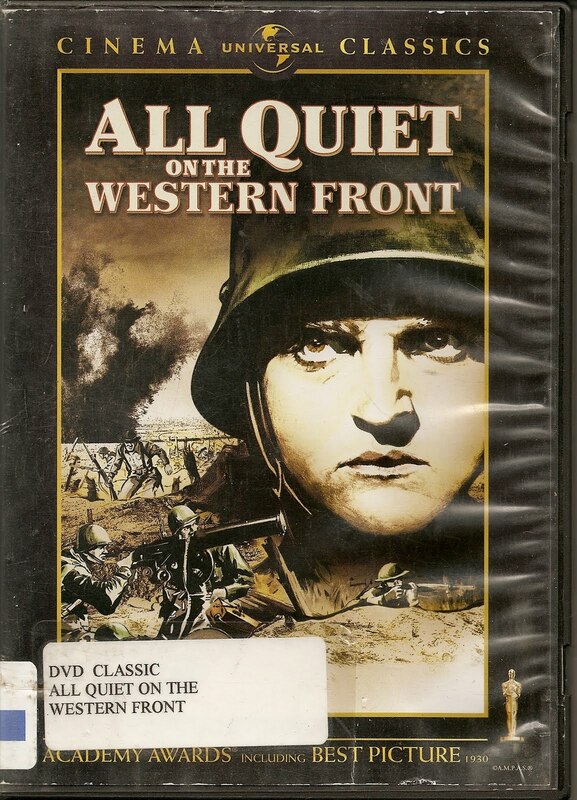 But for all of it's flaws, "All Quiet On the Western Front" is still a good movie to watch, if only to see the rapid advances made once sound was introduced to the movies.